This content is provided by Aleksandra Wędrychowska-Karpińska. 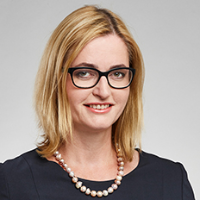 Aleksandra is a co-founder and partner at WKB, co-head of the IP law practice. For 20 years she has advised clients on all aspects of trademarks, patent and designs as well as copyright, unfair competition and consumer law. Her recent main projects include high court decisions on online infringements, use of trademarks by ISPs, copyrightability of designs, design protection, duties of e-commerce service providers towards consumers. She is also a lecturer on trademark and design law and a co-author of the Commentary to the Act on Competition and Consumer Protection.